Fab Finds Friday ~ For me it's officially spring when I start re-arranging the back yard. New pillows, found treasures and cozy corners make this my very happy place. 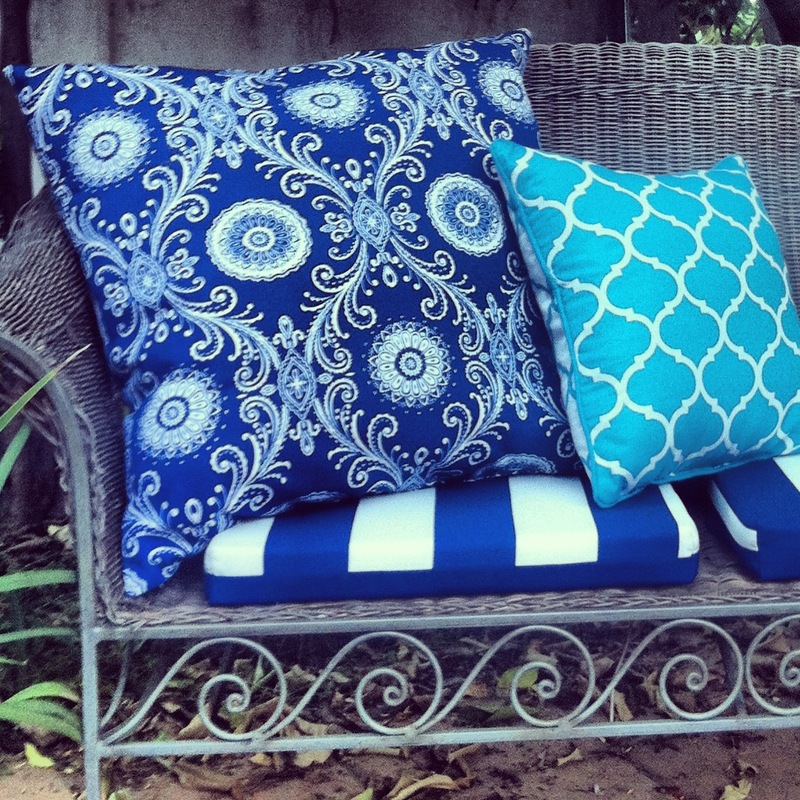 Pillows are a great way to decorate and change a look from drabulous to fabulous on any budget. There's lots of places to pick up pillows and not break the bank. I found this the big blue and white one at Ross For Less for $14. TJMaxx, Marshalls and Home Goods are all great sources. I also like to splurge on the Sunbrella fabric pillows, they don't fade, a bit more expensive but last longer, like the smaller one that was $22 at Pier I. World Market also has a good selection of theses. 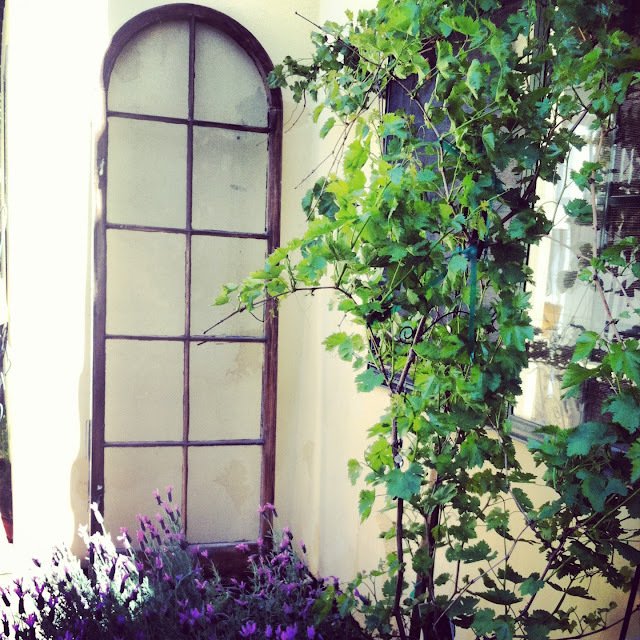 This gorgeous old french window was a dumpster dive find. I love how it looks with the lavender and grape vine (still waiting for grapes.) It's my french corner. I always say 'one woman's trash is another womans's garden art'. 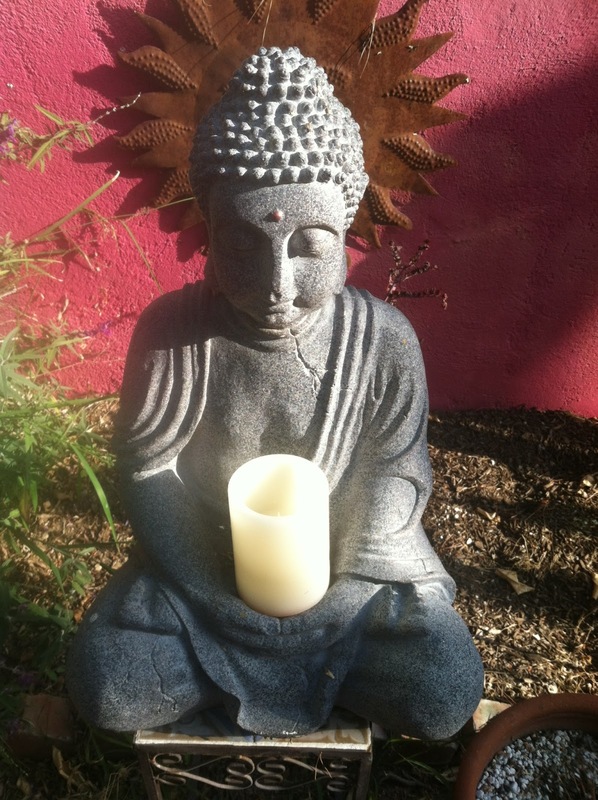 Love this Buddha, a bargain treasure found in my travels. Can't leave out Daisy my lazy garden helper. 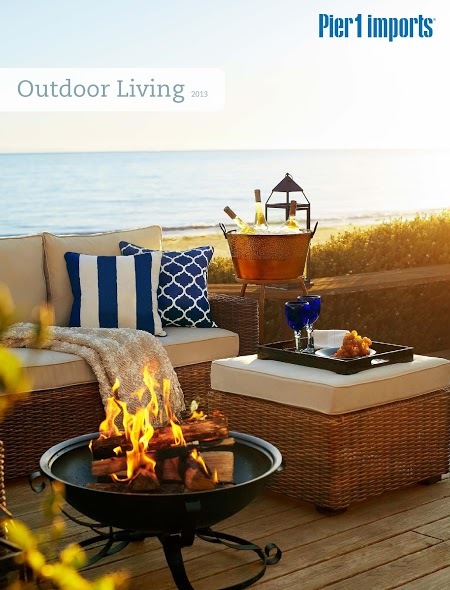 I just came across some gorgeous outdoor furniture that was used to stage a house, buying it for less that half price! Can't wait to set it up. I'll take before and afters pictures. It looks similar to this. If you haven't checked out the attached at the hip blog take a look, there's some great photos up! For more outdoor inspiration check out my Pinterst Garden Board!